Judson Brewer is psychiatrist and addiction expert and most of his research is focused on mindfulness techniques that effectively help get over cravings of all kinds. Judson Brewer is a thought leader in the “science of self mastery”. Brewer has nearly 20 years of experience in his career with mindfulness and scientific research therein. As an expert in mindfulness training for addictions, Judson has developed new treatments to help individuals with substance abuse and eating disorders. Judson also researched the neural mechanisms of mindfulness using standard and real­time fMRI, and he is applying these findings into clinical use. In 2012, Judson founded Claritas MindSciences to combine mindfulness and neurofeedback techniques for a variety of conditions; the latest apps are Craving to Quit and Eat Right Now. 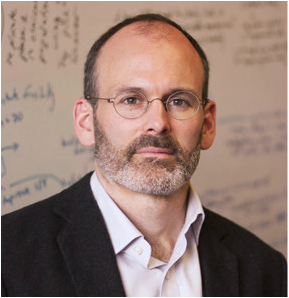 ​Judson is currently an Associate Professor of Psychiatry and Medicine, and also serves as Director of Research at the Center for Mindfulness at University of Massachusetts School of Medicine. He has published numerous peer-reviewed articles and book chapters, spoken at international conferences, presented to the US President’s Office of National Drug Control Policy, been featured at TEDx, Time magazine (top 100 new health discoveries of 2013), Forbes, Businessweek, NPR and the BBC among others.